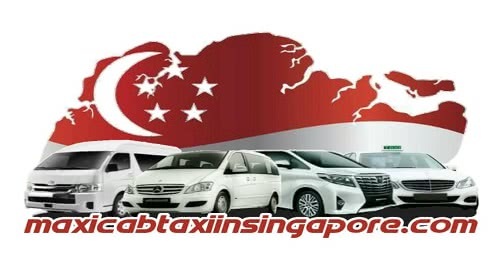 As Singaporeans, we ask ourselves, “how often do we visit local touristy spots?” but I have just the thing to give you an excuse to head down to Gardens By The Bay the next time you’re looking for a place that will give you a good time and good food. 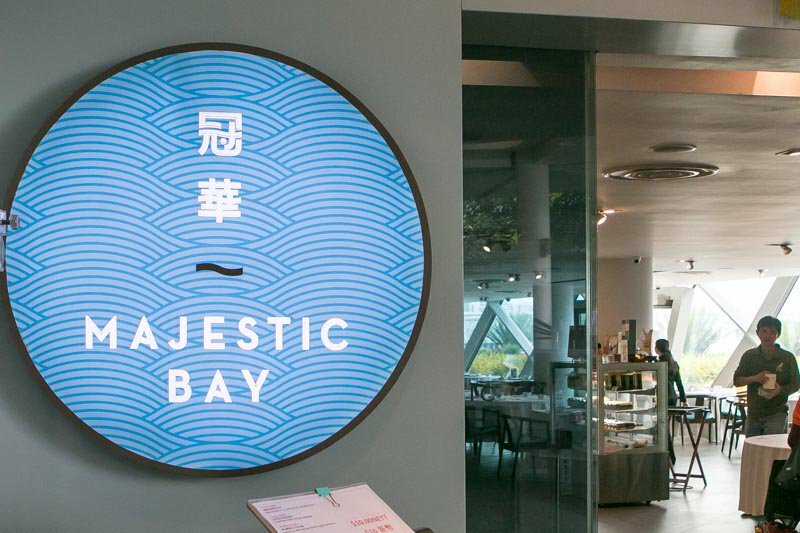 Located, just below the Flower Dome, Majestic Bay is a restaurant that many might be quick to dismiss, since there’s the assumption that it would probably cost you an arm and a leg to foot the bill. But rest assured, there’ll be no need to give up any organs at this reasonably-priced seafood establishment, and in fact, dining here wouldn’t cost you any more than what you’d pay at any seafood restaurant. The dining area overlooks the walking path and Singapore River, so in the day you get ample sunlight filtering in, while at night, you get to sip rice wine gazing at night lights. As with most seafood places, Majestic Bay has in-house tanks to host their fresh catches daily (I remember when I was young, my dad would ask me to pick out my favourite fish then we’d pretend to catch it together). Of course, the right way to start out any seafood feast is, to begin with fish. Here, you’re looking at the Catch of The Day Prepared in Two Ways: Stir-Fried Fish Fillet, and Sauteed with Fine Salt & Pepper ($80). Just to clear any confusion, the dish comprises a single fish that’s split down in the middle and then prepared in two different ways; like yin and yang. The salt and pepper counterpart was a crispy delight that got us hooked pretty quickly, but beware of the tiny bones hidden within. The stir-fried version is unexplainably more suitable for the health-conscious but equally flavorful. In fact, I preferred this out of the two because of the garlicky flavours that coated the soft, flaky fillet. Just the first of more shellfish to come, we had the Crispy Sea Prawns in Light Soya Sauce and Smashed Garlic ($30) next. The prawns came more or less de-shelled, so cast aside all your hesitation to indulge because of the hassle. As a garlic-lover, I can vouch that this was one of the best dishes we had that day, and I especially loved how the big, juicy prawns soaked up the soya sauce so well. The sound of lobster will send any seafood lover’s eyes sparkling, and you can bet that’s exactly what happened with us when this Lobster in Homemade Champagne Sauce ($50) hit the table. I had really high hopes for this because there’s nothing I love more than alcohol in my food. I say this with much disappointment, but the lobster, unfortunately, didn’t live up to my hype. The sauce was more sweet than savoury for some reason, and I was struggling to comprehend the fruits that laced the dish. We were treated to not just one, but two prawn dishes, serving as a testimony that Majestic Bay is nothing short of a seafood haven. The Crispy Prawns in Peanut Satay Sauce ($28) might look a little familiar, reminding us all of a local delight, satay. It even came complete with a side of ketupat (steamed sticky rice), peanut dipping sauce, and cut onions and cucumbers. As usual, the de-shelled prawns were big and juicy – perfect for popping into your mouth. I’m no ketupat fan (in fact, I really don’t like it), but this was the closest thing that could get me to change my mind. The rice concealed underneath the coconut leaves had a fragrance that I’m sure many would take to. Taking a break from all the offerings from the sea, the Baby Pork Belly Ribs in “Jiangsu” Style ($24) was a much-welcomed change. Each pork slice was well-coated with the Jiangsu sauce throughout, and there wasn’t a portion left bare. For those wondering, the Jiangsu sauce is made with soy sauce and sugar, hence giving it a savoury taste with a tinge of sweetness. Though yummy, my colleague and I both agree that it could do with a leaner cut, because we soon got jelak from all the fatty portions. Alas, what’s a seafood meal without crab? As Singaporeans, we undoubtedly love our crab, which also probably means that we hold high standards to them. The Sauteed Mud Crab with Basil Leaves in White Wine Sauce ($68) reinvented the flavours of crab for me, with nearly the whole table agreeing that it was kind of like carbonara crab; a Crab-onara if you will. Though the taste of white wine was elusive, the thick and creamy sauce coating the crab more than made up for it. By the time we got to this part of the meal, we were already stuffed from the goodness earlier. But this Malaysia Free-Range Chicken Rice in Claypot Style ($32) was aromatic enough for us to forget about our quickly-filling stomachs and say, “let’s keep going”. The dish was heated up and mixed right in front of us, and I can guarantee that watching this process will only make you salivate further. Turmeric infused into the rice is what gave it its yellow hue and an added fragrance. But what really elevated the whole dish for us was the orange juice chicken rice chill. It may sound strange at first, but the tangy, power-packed sauce speaks for itself really. It was so addictive, I continued eating it on its own even when my rice was all done. If they sold it by the bottle, my colleague and I would both have bagged a few home. But bear in mind that only four portions of this exclusive dish are served each day, so I’d advise calling in beforehand to avoid disappointment. Just as we usually take time to cool down after vigorous exercise, we winded down after our heavy meal with some of the restaurant’s signature dim sum dishes that are available all day. This Singapore Laksa Xiao Long Bao ($5.50 for 3 pieces) definitely piqued our interest just by its name, and we soon learnt that it was part of Majestic Bay’s Peranakan Specials. We bit into a spicy laksa broth that made us feel like we were taking mouthfuls of the warm, comforting dish itself. The only thing missing was little pieces of thick bee hoon to really emulate the full laksa experience. To me, the mark of good dim sum goes back to the basics. These Steamed Fresh Prawn Dumplings ($6 for 3 pieces), or har gow as we know it, didn’t disappoint at all. There might be a hefty price tag attached to them at a whopping $2 per piece (I could pick out something from Daiso for that money! ), I assure you that the whole prawns encapsulated within the flour skin are well worth spending on if you take your dim sum very seriously. We wrapped up our dim sum endeavours with this Fish Otak-Otak Beancurd Roll ($4.80), which also belonged to the Peranakan menu. The table was split down in the middle on this one, and I, unfortunately, belonged to Team Nay. Otak-otak on its own is great, but having it wedged in between beancurd slices gave the whole dish a bad kind of sour tang, almost as if it’d gone bad. We embraced the sweeter side of things with the Chendol Siew Dai ($4.80 per person) that I was frankly looking forward to. Unfortunately the “siew dai” wasn’t “siew” enough for me, because I still found it pretty sweet. But I have to give a shoutout to their generous portions of attap chee though; I easily found four to five pieces in my cup. I was squealing in sheer delight when these Signature Yellow Duckling Buns with Nutella and Yam ($4.80 per piece) came swimming over, I mean, how cuuute are they! You guessed it, I had loads of fun walking around the space taking shots like these and telling my friends about my adorable edible duck. In fact, I liked them so much it was a bit of a struggle even taking a bite out of them, let alone ripping the poor thing into half for this photo. Nutella and yam seem like an unlikely duo, but the two surprisingly complemented each other really well. The yam paste balanced out the heavy hazelnut cream, creating the perfect blend of sweetness and nuttiness. Also, bonus points for the pumpkin seeds hidden within! That wraps up our afternoon at Majestic Bay, one of Gardens By The Bay’s lesser-known gems, in my opinion. I’ll spare you all the bad seafood puns, but I just have to say that you won’t be disappointed by Majestic Bay’s offerings, with fare so good, it’ll leave you going, “what the shell”? !